The team from Urban Barn have donned their overalls and picked up their paintbrushes to give two of our rooms a much-needed makeover. 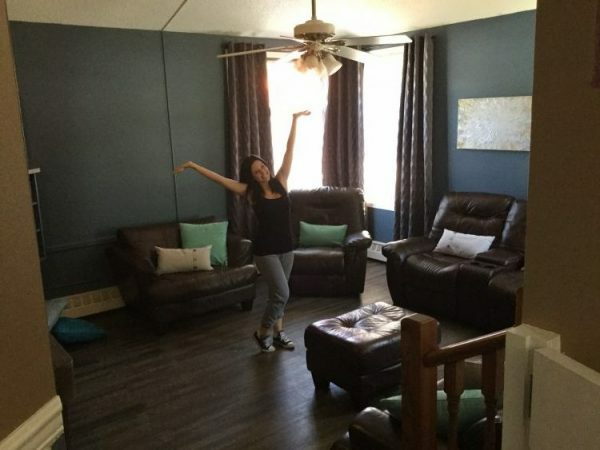 A few gallons of paint, some new bedding, curtains, furniture, and a few wall hangings were all it took to brighten the lives of the women and children at WIN House. If there’s one thing the team at Urban Barn understands, it’s how to make a house feel like a home. They recognize that leaving an abusive situation is an incredibly hard and scary decision. The courage and strength it takes to leave your home to escape an abusive environment is unimaginable to most people. Once a woman comes to WIN House, it is so important that she feels comfortable and relaxed in her environment, so she can begin to heal and start her journey to a safe and abuse-free life. “We are so thankful for the wonderful gift Urban Barn has given us. With the remodel, our women are not only safe, they are comfortable.” said Tess Gordey, Executive Director. Thank you to the amazing team at Urban Barn for making our home feel peaceful and relaxing. Your donation and time has and will continue to make our home welcoming for the women and children fleeing domestic abuse.